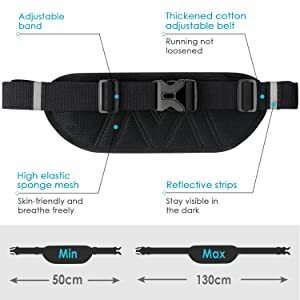 then you can fold the holder to be a normal and cool waist bag. ♥The Ergonomic design to place water bottle horizontally can protect your belly safely when doing exercise. 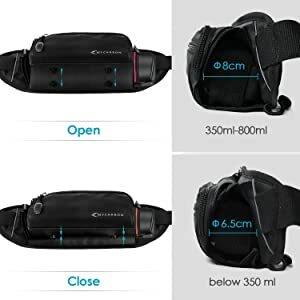 Meanwhile,this running bag is hard to bounce while running. ♥And inner compartments in the pockets can protect phones or cards from being scratched by keys or coins. 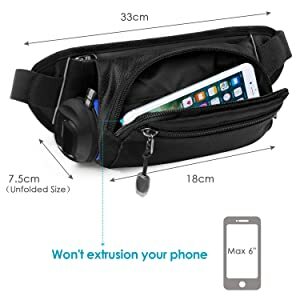 ♥This waist pack is made of high quality Material,durable nylon fabric,abrasion resistant and water resistant for long lifetime. ♥The thickened high elastic sponge in the back which can resist pressure and strengthen cushioning effect,you will love the breathable design. ♥It has multiple reflective strips which can keep you running safely at night. 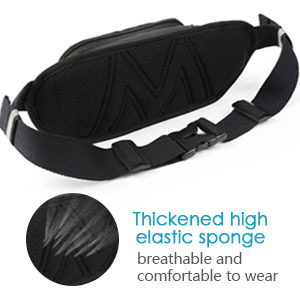 ♥MYCARBON bum bag is made of high quality SBS waterproof zipper. 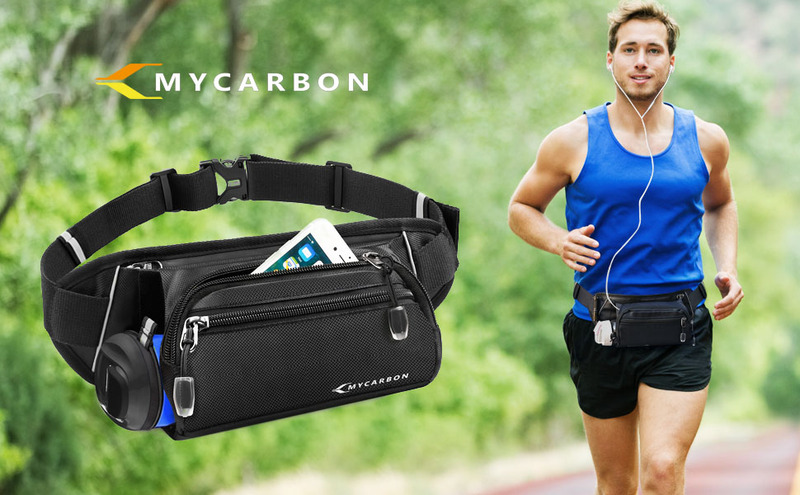 ♥ Great gifts for runners,travellers,friends and family menbers. 4.Generally recommend hand-wash,and please choose the ventilated place to dry the water bottle pack up . This design will protect your belly safely when doing exercise. And it is hard to bounce while running. Will protect phones or cards from being scratched by keys or coins. and water resistant for long lifetime. Will resist pressure and strengthen cushioning effect,breathable and comfortable to wear. Will keep you running safely at night. 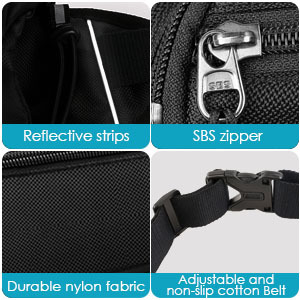 ♥♥High quality SBS waterproof zipper.